Heading to the hills doesn’t have to break the bank. The local mountains are offering some stellar steals in the lead-up to the Olympics. We found the best deals. During the Olympics, Grouse is open 24/7; get an After Hours Pass for the Games ($150) to ski from 8 p.m. to 6 a.m., and enjoy live entertainment, late-night eats and drinks, Games highlights and more. 604-980-9311. No, we are not suggesting you dress up like a Betty. Guys still pay, but make it a date with your lady and it’s like a two-for-one deal. Maybe she’ll even buy the beers. The weekly event starts tonight. Details here. Want to try snowboarding, but don’t want to invest a lot of money? From January 16 to 24, Seymour is offering two-for-one lesson packs that include a two-hour lesson, full-day rentals and lift passes for $99 a pair. 604-986-2261. 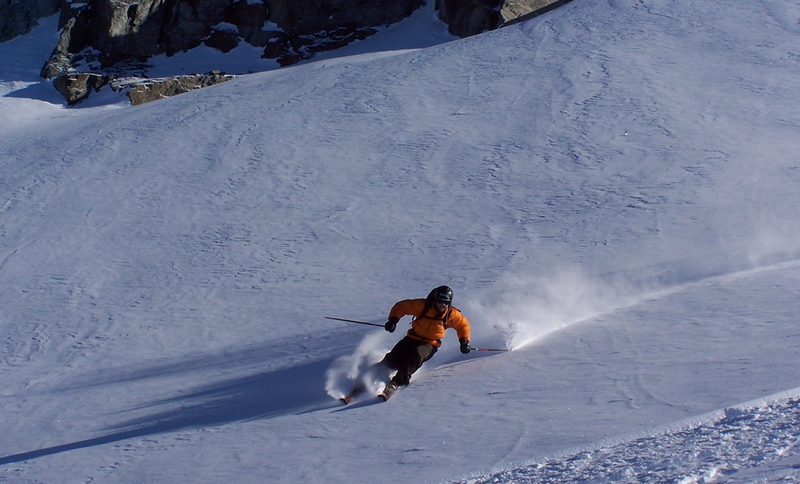 The Ski Card ($56) gives you your first lift ticket for free, and 20 per cent off all regular prices. It also allows you access to the Nite Owl pass ($25), so you can own the runs after 7 p.m. Buy it here. Cuts tracks at Whistler before the Olympians move into town with this amazing deal (from $115 per person/night). You’ll also get a bonus one-day lift pass for your next trip. Details here. Image courtesy of Andre Charland.